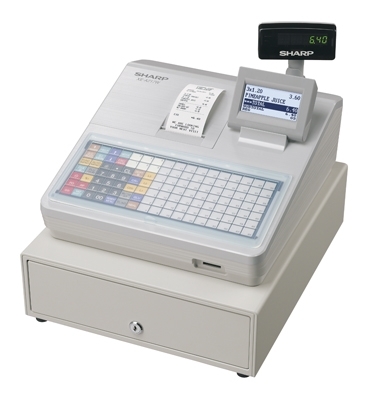 The Sharp XE-A217 with its multi line backlit LCD display is an easy and comfortable machine to use. Popular with cafes and bars the XE-A217 has connectivity to certain EFTPOS machines and can store data on a SD memory card. The XE-A217 can handle the running of tabs and a wide range of products with its 70 button keyboard. Its quiet and reliable thermal printer produces easy to read and detailed receipts containing the business details including the G.S.T. in the header message. The machine was designed with the end user in mind to be hassle free to program and sell with. The XE-A217 has well formatted reports and a electronic journal for keeping an eye on the business at a moment’s notice. A great Cash Register at an affordable price with all the quality and innovation you would expect from a Sharp product.